the Rock River looking toward the I-74 Bridge. Some residents of Moline are being warned to prepare for possible flooding. 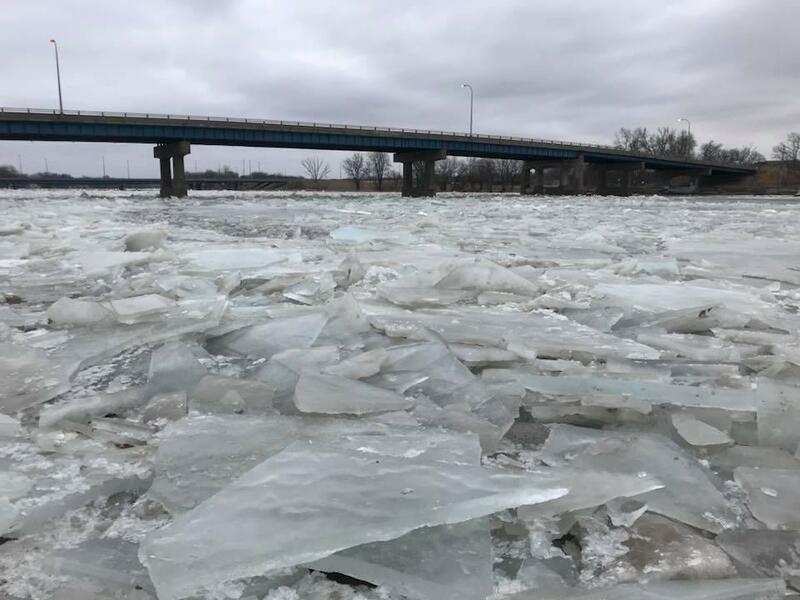 Ice jams in the Rock River near the I-74 bridge are causing the level of the river to rise. The police and sheriff's departments say people who live along the Rock should watch the river closely, and be ready to evacuate if necessary. That means packing clothes, medications, and pets.